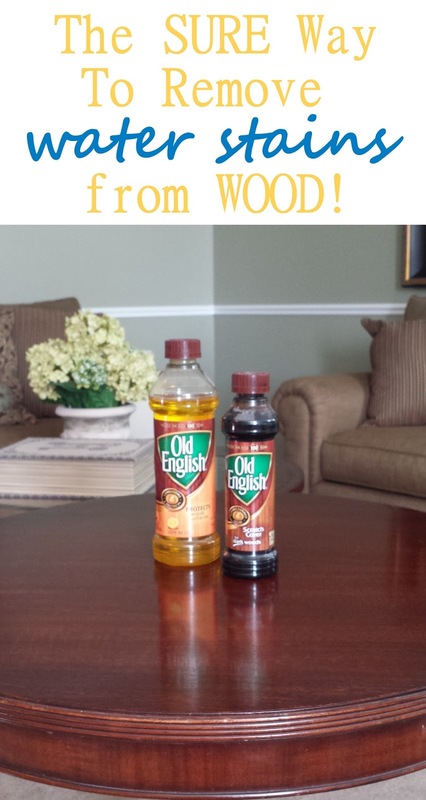 Studio 7 Interior Design: How To Remove Water Stains from Wood! 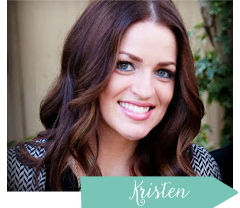 I am SO EXCITED to be sharing this post today!!! Recently my Dad called be asking which of my kids were in their formal living room the other day? I could tell by the distress in his voice that one of them did something not so great. He then preceded to tell me that their antique table, the one that was carried across the plains, had a puddle of water on it for who knows how long. It was ruined. You can imagine how terrible I felt! My 3 year old was looking for candy in the candy jar and must have spilled her cup of water and not told me to clean it up. Here is what it looked like... White and Gray stains that seemed impossible to remove! I hopped on google (man's best friend) and I saw from Today's Homeowner to try using an IRON and thick TOWEL to remove the stains!?! It sounded crazy enough to try! With that I headed over to my parent's to give it a try, thinking it was pretty much hopeless. 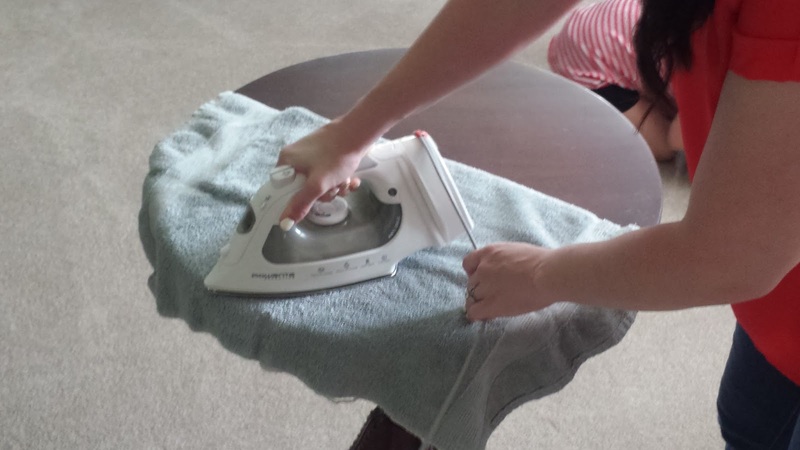 I got the iron, turned OFF the steam setting, put it on medium heat and an old hand towel and I went to work! 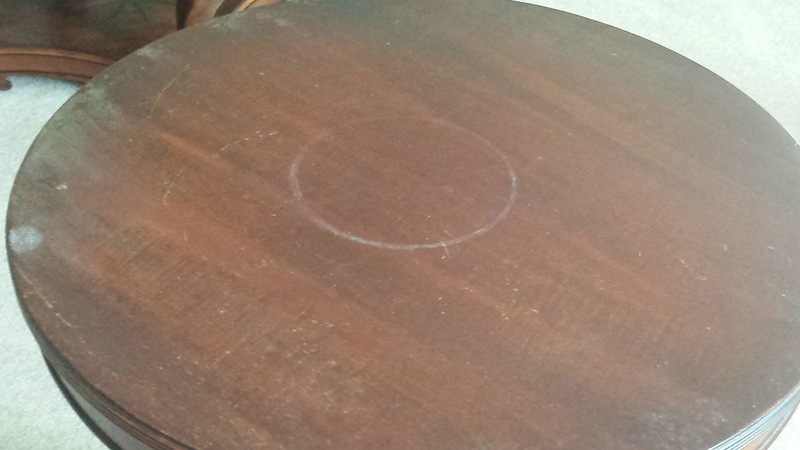 I worked on the small table for about 45 minutes, but when I was done the marks looked almost gone! The trick was to slightly rub the iron back and forth until it felt tacky... this meant the water was being absorbed by the towel and I lifted the iron and got a dry part of the towel and repeated... press... rub... press... rub... My arm was tired after, but it was well worth it! 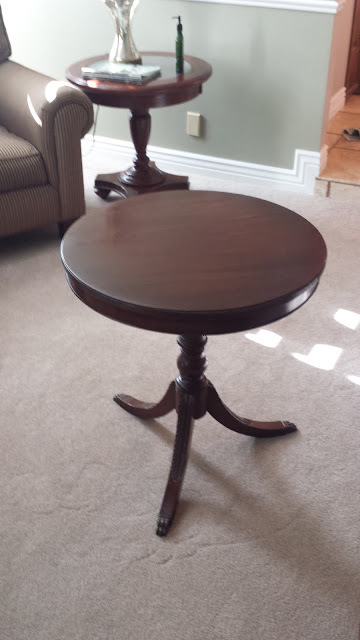 I saved the antique table! I then grabbed my mom's Old English scratch remover and lemon oil and rubbed a soft towel on the tables surface for about 5 minutes, first the scratch remover then the lemon oil. 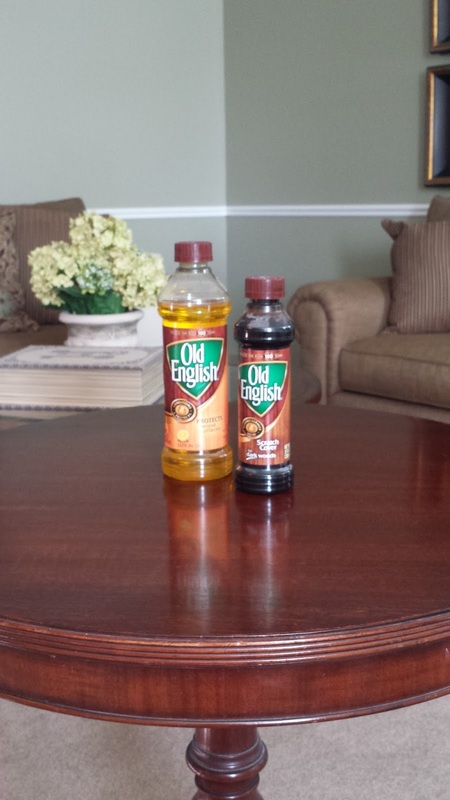 Not only did the stains come out, but after using the Old English it looked BETTER than it did before the damage. Pretty awesome product, if I don't say so myself! We all were more than THRILLED with the results! Days later it still looks good as new. It took a little time and elbow grease, but well worth it to save such an heirloom!